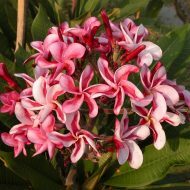 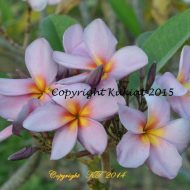 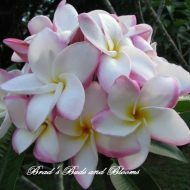 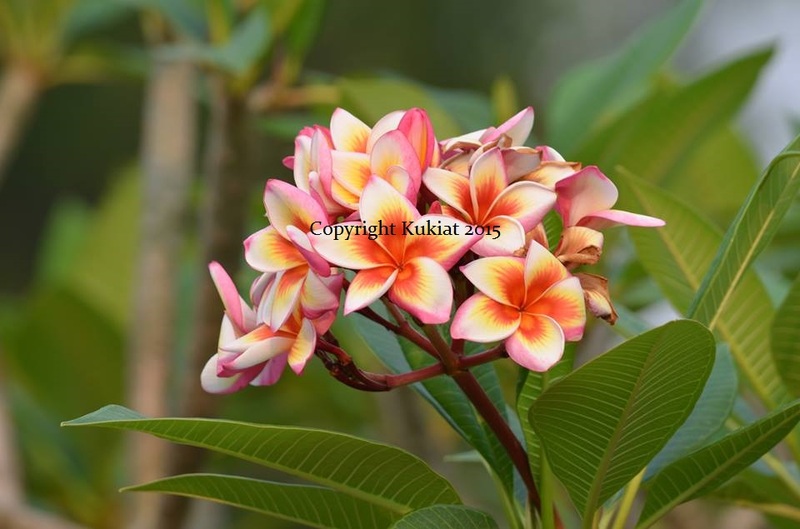 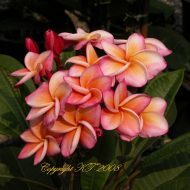 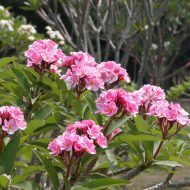 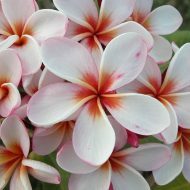 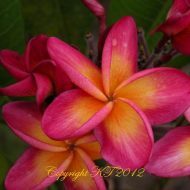 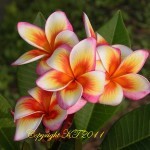 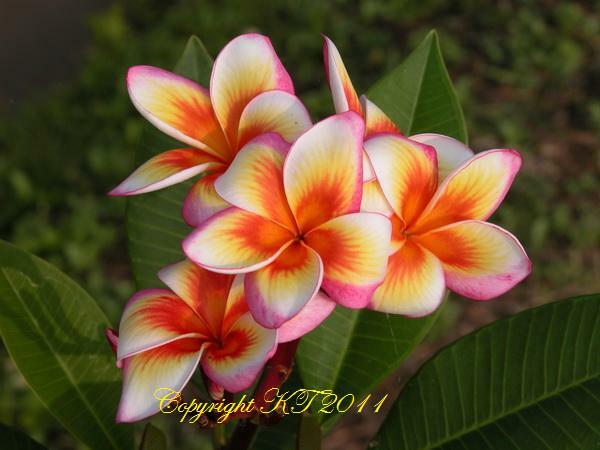 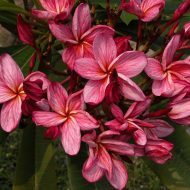 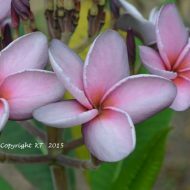 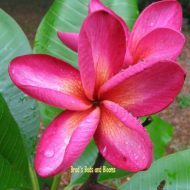 This is a very vibrantly colored plumeria of 3.5″ wide blooms with a lovely, sweet fragrance. 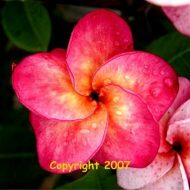 The colors remind us of a burning sun in the middle–very showy! 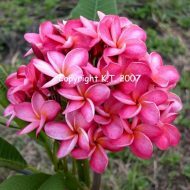 ROOTED plant by Kukiat In Thailand straight off the mother tree—10-13″ measured from the soil line. 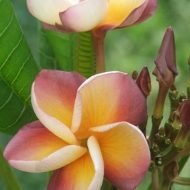 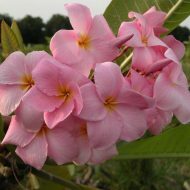 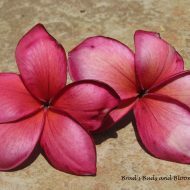 Due to its rarity & unique beauty, this plumeria remains in high demand and always sells out before the season is over. 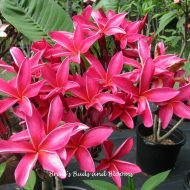 PLEASE–do not be deceived by certain Thai (and others) sellers on Ebay, etc. 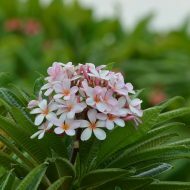 claiming to have this plant, sometimes using a different name for it. 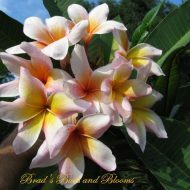 Brad’s Buds and Blooms was the first and original seller of this special variety in the USA. 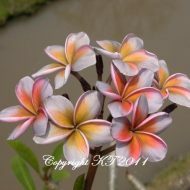 Authenticity and quality guaranteed! 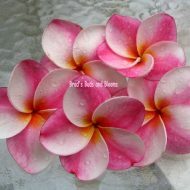 Sometimes Photo’s only tell half the story. 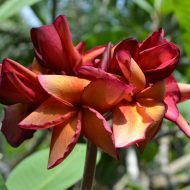 Seeing Fire Blast in person was a sight to behold. 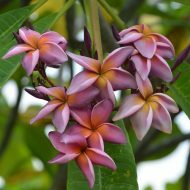 I had to have one. 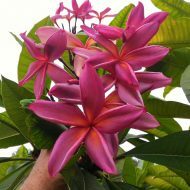 The Fire Blast Graft I received exceeded my expectations, a nice healthy and firm plant, somewhat beefy, and exceptional root structure. 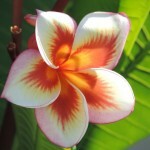 I was extremely pleased with my purchase. 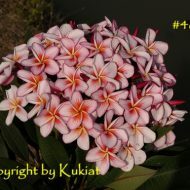 I hope Kukiat and Brad continue to offer more and more varieties. 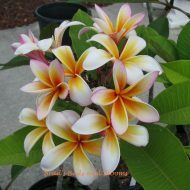 If I can only keep one plumeria, this is the one. 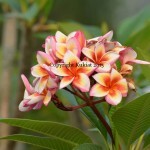 Flower appeals to all senses. 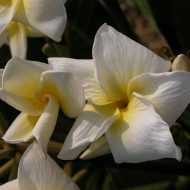 It does very well in a desert like Arizona where I live. 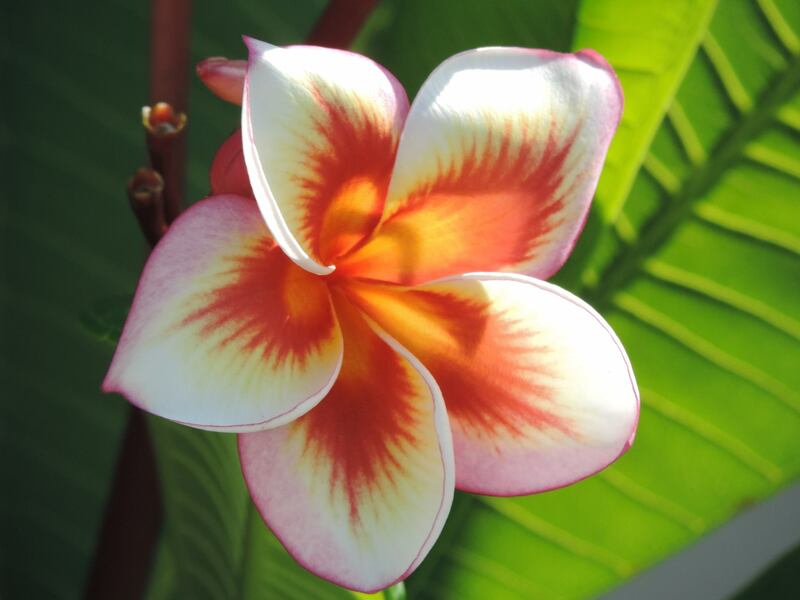 It should do well everywhere else around the world.